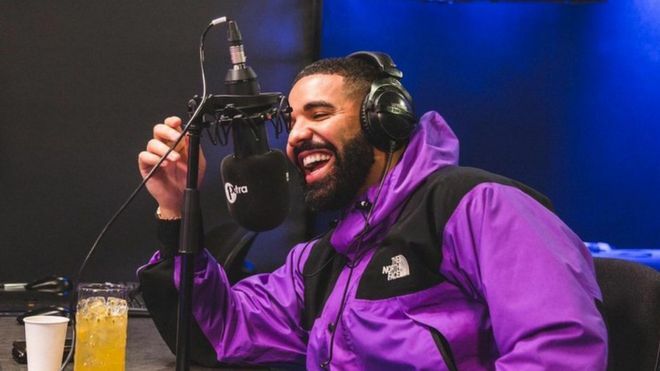 Over the weekend Drake played a co-host role with DJ Tiffany Calver on BBC Radio 1‘s 1Xtra Rap Show. During the show, Drake addressed the issue of people labeling him as a “culture vulture”. “I hate that people think that me being into music from these kids that are trying to make it and build a name for themselves is like, ‘Oh, that’s some culture vulture,’” he admitted. “What does that even mean? I don’t understand. Would you rather me not acknowledge anything or not support? That’s some real confused hater sh*t,” Drake added in the interview. This whole dilemma came after people from all over the world have been calling Drake a “culture vulture” due to him borrowing sounds and styles from underground subcultures like Afro-beat, Caribbean dancehall, house and UK grime. What are your thoughts?